There is a non-refundable application fee of $100 upon submitting an application to the Certified Non-GMO by AGW program. Discounts are available when applying for two or more certifications simultaneously (e.g., Certified Animal Welfare Approved by AGW or Certified Grassfed by AGW). Once an application has been reviewed, an additional fee to cover the audit will be charged. Applicants will also be required to cover lab testing expenses for sample(s) collected at the time of the onsite audit. All fees are nonrefundable. Please see the AGW Fee Schedule for more details. 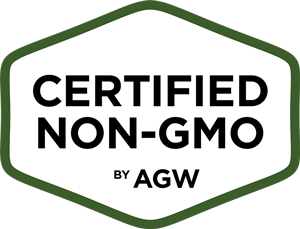 Before applying, you should review the Certified Non-GMO by AGW standards to make sure you believe they are consistent with your farming practices and values. For livestock and poultry producers: Please do not apply unless you have already applied (or are currently certified) for Certified Animal Welfare Approved by A Greener World, and currently have animals on your farm. This is an optional, additional accreditation. If you have any questions about the application below, get in touch and we’ll be glad to help. We look forward to working with you! Please note, this application is for U.S./Canadian operations only. For other countries and regions: we would love to work with you! Please contact our main office at the information below for more information.